Quilt measures 59in x 71in. Requires 5 one-yard fabric cuts. 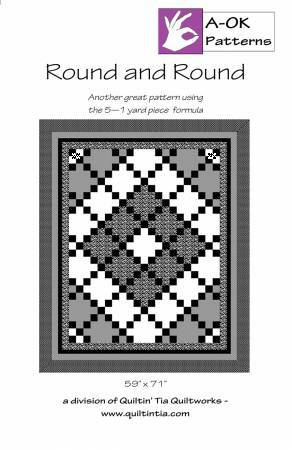 Create a very traditional looking pattern with just solid squares and ninepatch blocks. Strip piecing makes for fast construction. Using the five finger method, you will choose the correct fabrics every time.